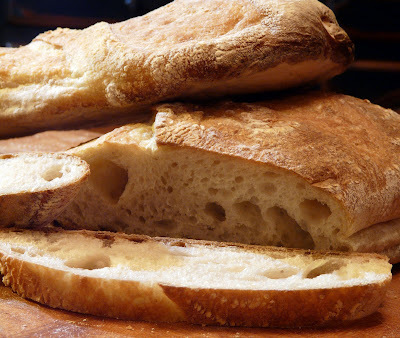 I started a Levain late Wednesday night, kneaded up the dough Thursday morning and put the dough in the fridge for a long slow rise. My intention was to have Moe take the dough out of the fridge on Friday afternoon while I was at work and I would bake the bread Friday night. But, I forgot. So the dough came out of the fridge Saturday afternoon and was ready to go in the oven last night around 9. 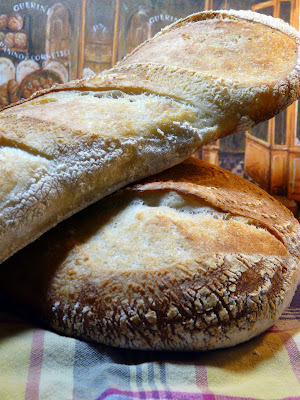 Ann, your photos of bread are on par with the great Dutch masters still-life paintings.